Halloween inspired hues take over the Balenciaga Triple S Orange Multi. Perfect for making a statement as part of your Autumn/Winter 2018 rotation, this super stacked chunky sneaker features a seasonal orange colourway in this women’s exclusive release. 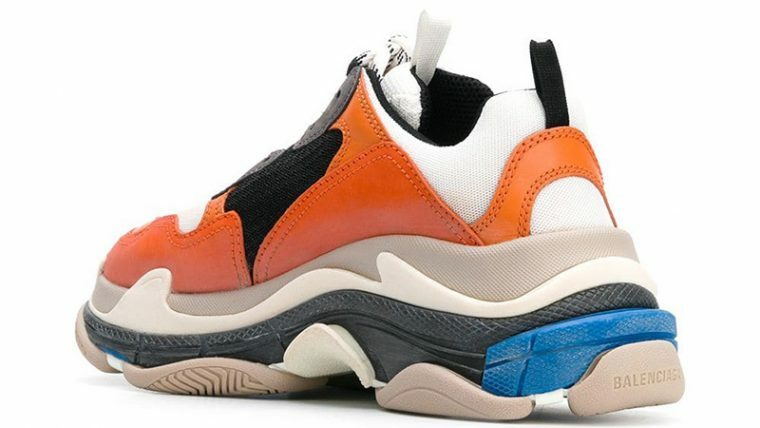 Often seen as a controversial silhouette, Demna Gvasalia’s bold design brings a love it or hate it appeal for many, but the Triple S’ trend-focussed aspects mean that it remains to be a must-have for fashionistas. 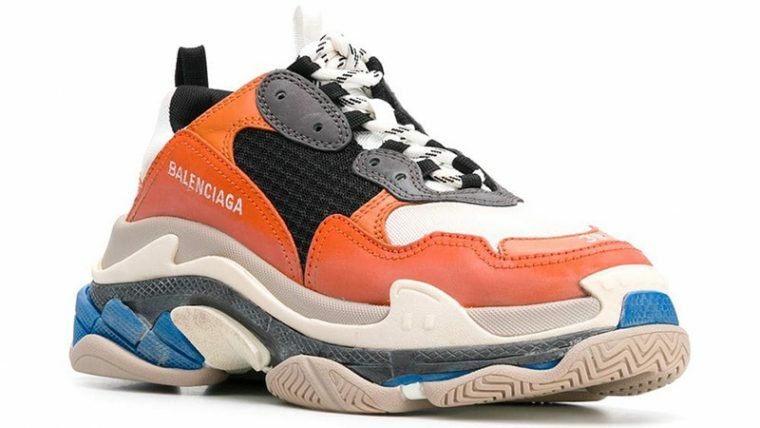 Decorated in orange, black, cream, and blue hues, the brand’s latest rendition appears to represent the colours of spooky jack-o’-lanterns. 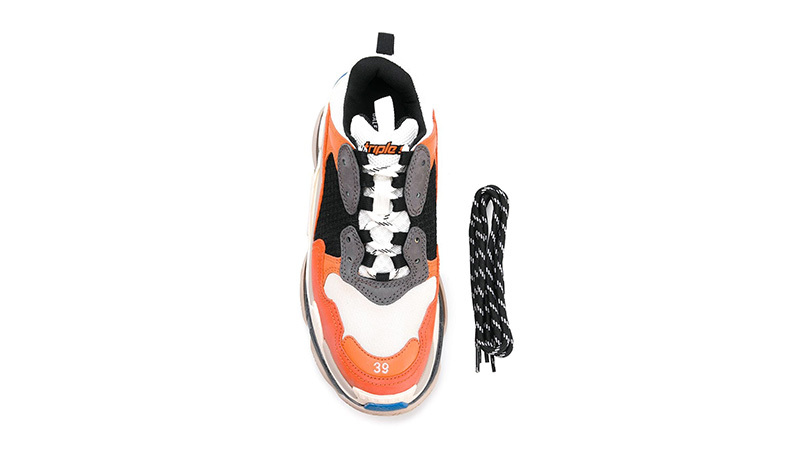 Hailed as the pioneer of 2018’s dad shoe trend, the Triple S is supported by a triple layered sole unit in contrasting colours, and features a premium leather, nubuck, and mesh upper. Balenciaga’s iconic logo appears in silver across the side panels, adding to this sneaker’s luxurious look. A pair of white laces with striped black detailing completes the Triple S in style. 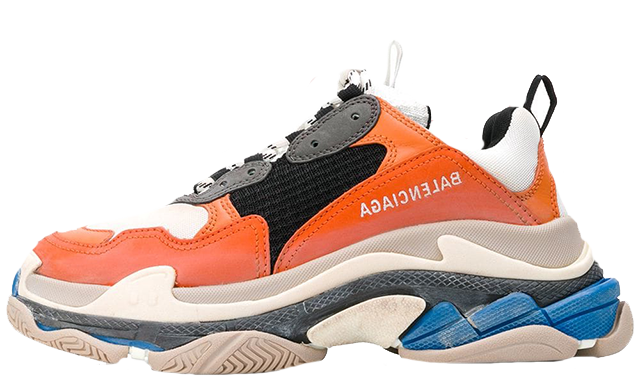 If you’re loving the Balenciaga Triple S Orange Multi as much as we are, you can get your hands on a pair now via the stockists listed on this page. Make sure to buy them before they sell out! 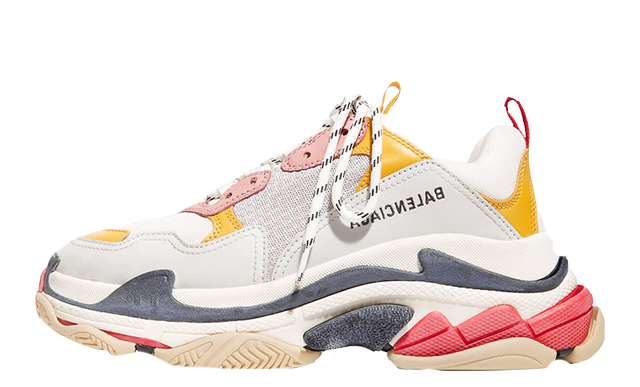 You can find more Women's Balenciaga Trainers Release Dates here!